A MASCULINE STYLE PAIR OF SUNGLASSES IN BLACK GLOSS WITH GRAPHITE VFX+ POLARIZED LENSES. TAKING INFLUENCE FROM THE 70'S AND 80'S THIS IS A BOLD FRAME. 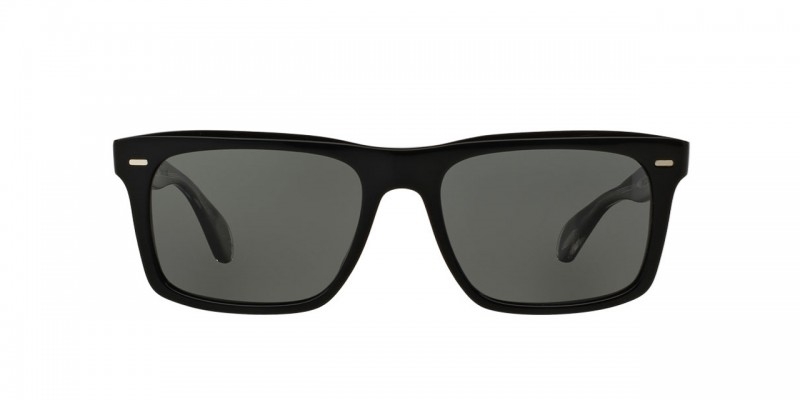 OLIVER PEOPLES BRODSKY IS A MASCULINE BLACK GLOSS PAIR OF SUNGLASSES. THE STYLE TAKES INFLUENCE FROM THE 70'S/80'S TO MAKE A BOLD STATEMENT. MADE USING THE FINEST QUALITY MATERIALS TO THE HIGHEST POSSIBLE STANDARDS. HANDMADE IN ITALY. A GREAT FRAME FOR STREETSTYLE AND BEACH HOLIDAYS ALIKE. VFX+ Polarized Glass lenses eliminates reflective glare, optimizing visual clarity. Features an infrared coating to cool eyes, as well as hydrophobic, oleophobic and anti-reflective coatings, signature breath logo, and 100% UVA/UVB protection. The Oliver Peoples BRODSKY OV5322SU come with their own branded case, cloth and packaging,and the sunglasses are covered by the 12 month no quibble Sendoptics guarantee. A MASCULINE STYLE PAIR OF SUNGLASSES IN SANDALWOOD WITH G15 POLARIZED LENSES. TAKING INFLUENCE FROM THE 70'S AND 80'S THIS IS A BOLD FRAME. A MASCULINE STYLE PAIR OF SUNGLASSES IN SEMI-MATTE COCOBOLO WITH VFX POLARIZED LENSES. TAKING INFLUENCE FROM THE 70'S AND 80'S THIS IS A BOLD FRAME. A MASCULINE STYLE PAIR OF SUNGLASSES IN SHROOM CRYSTAL WITH GOLDTONE FLASH MIRROR VFX+ POLARIZED LENSES. TAKING INFLUENCE FROM THE 70'S AND 80'S THIS IS A BOLD FRAME.